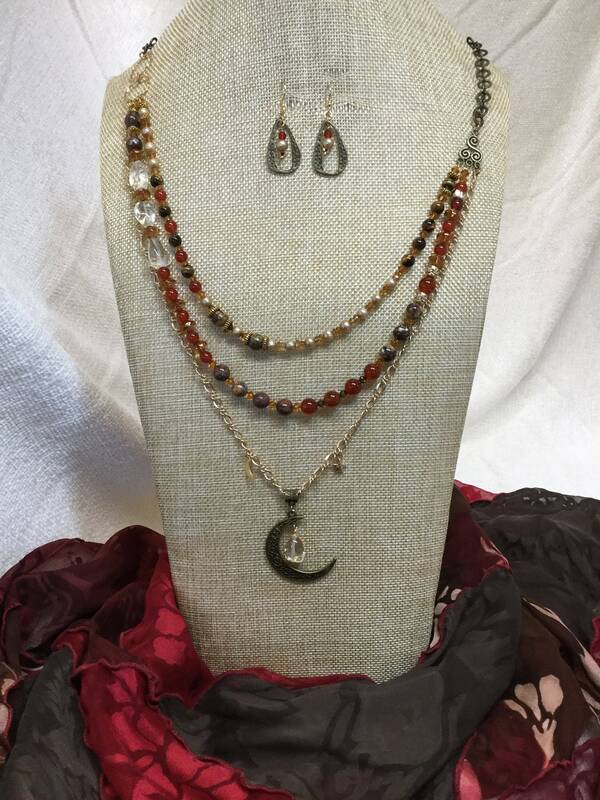 A bronzed crescent moon dangles a nugget of yellow citrine. 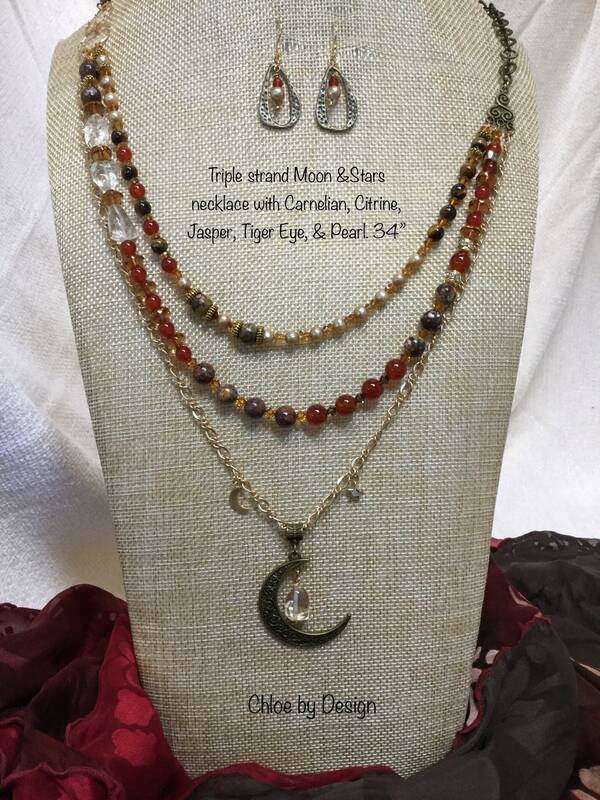 A gold chain complements strands of carnelian, tiger eye, pearl, Jasper, and citrine. Measures 34” adjustable.